I’ve been thinking a lot recently about this little blog of mine, and the sort of things that I want to be writing about. 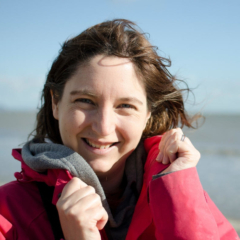 One of the main ideas behind the blog when I first started it was to investigate ways what we can really enjoy life, and make it as glorious as possible! So I’m starting a series of posts which will all have one little trick in them that should help to make life better, easier, happier. I’m hoping to bring in some psychological background to the tips where I can, but some will likely just be based on experience. 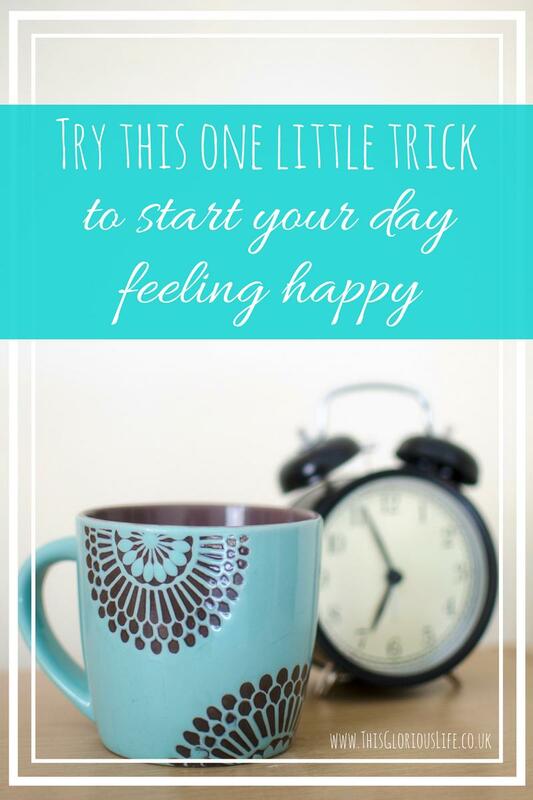 So, to start off, this week I bring you one little trick to start your day feeling happy! Make time for a cuddle first thing! I know, I know, when you’ve been forced out of bed on a cold morning to go calm a screaming baby, or you’ve been (quite literally) dragged from your bed by your co-sleeping toddler who is now demanding milk (can you tell that’s how most of my mornings start?! ), then you might not be feeling too cuddly. If you’re anything like me what you really want to do is head straight to the kitchen for a giant cup of caffeine-y goodness. But taking a minute to grab your little one for a huge cuddle first will do wonders for both of you. So if mornings with your kids are normally rushed and stressful, then taking the time to give them a huge, loving hug could really help to make things a bit happier. It’ll release that lovely oxytocin which will take the edge off that stressed-out feeling. For bonus feel-good points you can take a minute to gaze into their sleepy eyes, which releases even more oxytocin, and makes you feel even more bonded to them, and who can feel sad when they’re full of love for their kids? It’s got to be worth a try right? And if you don’t have little kids at home, the same thing applies for all sorts of physical contact. So go and sneak a little cuddle with your teenager before they’re fully awake enough to stop you! Grab your partner for a cuddle under the covers before you have to get up and face the day. A few minutes snuggling your dog or stroking your cat will have the same effect too. I’ve been doing a lot of reading about oxytocin while writing this post, and it’s just amazing! There is a lot of interesting research being done into this ‘love hormone’, how we can get more of it and how it affects us and our behaviour. So stay tuned for more posts featuring oxytocin around here, I have a few ideas for posts on how we can make the most of this lovely hormone! 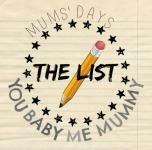 I wrote a post yesterday where I touched on this idea of being the parent that your child needs. I think if I could go back to pre-motherhood me, that would be the advice I would give myself. Don’t get too caught up on what the books say you ‘should’ be doing, don’t worry about what other people tell you your children ‘should’ be doing. Just focus on getting to know your child, and learning to be the parent that he needs. 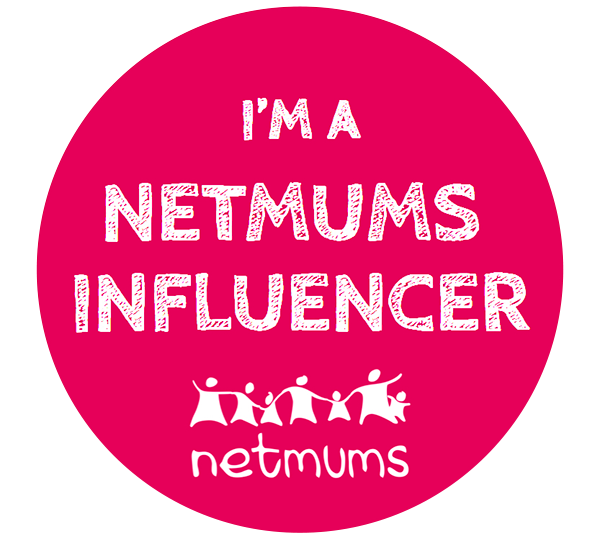 Now that I’m a Mum of two I’m learning even more that there isn’t a one-size-fits-all approach to parenting. Even within the same family you have to learn what each individual child needs from you, and adapt to become the parent that they need you to be. See, my children are very similar in many ways. When you look at their baby pictures it can be really hard to tell who is who. They were both on the move very early, and are confident in their physical abilities. But there are more and more differences emerging too. And, of course, as they get older their individual personalities change and evolve and I have to keep up with the people they’re becoming. I have to make a conscious effort to adapt my behaviour and my habits to ensure that they get what they need from me. 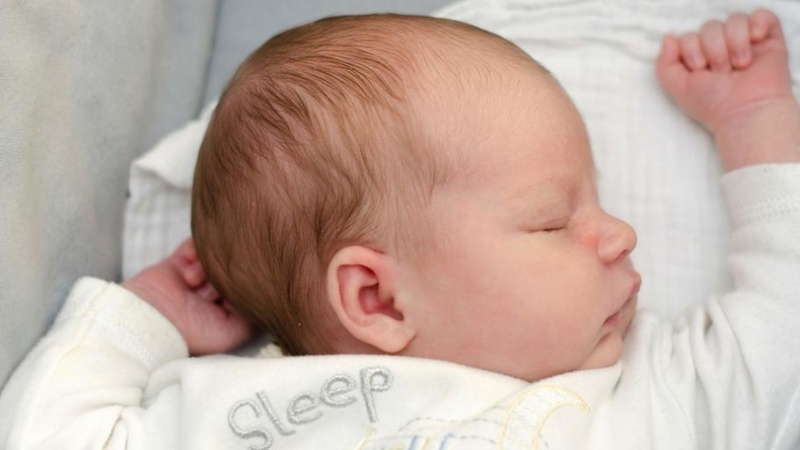 For example, I discovered when Rhys was a baby that I’m not as naturally tolerant of mess and dirt as I thought I was, and it’s taken me a while to relax and be comfortable with it. And the main thing I’ve come to realise is that Nerys’ need to get her hands in things, to touch and feel new sensations is more important than my ‘need’ to keep her hands and clothes clean! See, I’m learning all the time about what my children need from me as a parent. They need my love, my attention, my time, my respect. After those needs are met you have to dig a little deeper. Listen to your children, and watch them too. In their own way they’ll tell you what they need. You’ll learn if they need to be pushed or if you need to hold back. You’ll learn if they need to be cuddled all day or if they need their personal space. You’ll learn if they need the structure of routine or if they need more flexibility in their days. If you trust your instincts you’ll come to realise that they’re your children, no one knows them better than you. No one else knows the best way to ‘be’ with them. Don’t worry about being the parent you always thought you’d be. Don’t waste your time trying to be the parent that others think you should be. Don’t be the parent to the child you want your child to be. Get to know the child you’ve been given. Learn who they are, get to understand the way they think, be the parent that they need. Sugar highs or just kids being kids? 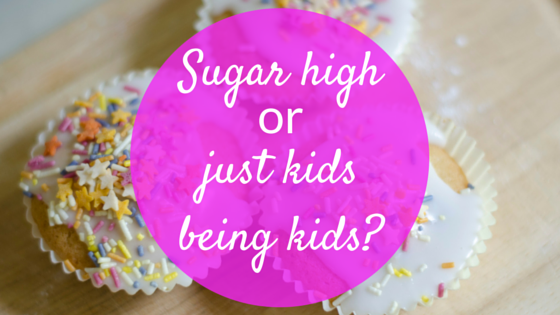 A new hot topic for conversation has come along recently – that of children’s birthday parties. All the kids in my little group of Mummy friends are turning 4 this year and suddenly there seems to be more pressure to throw a proper party! With the children all now being at nursery school we seem to have entered a new stage with these kind of things. As soon as that first invitation came home in a school bag the bar was set. Venues have been booked. Bouncy castles have been hired. Piles of fairy cakes have been baked! When it came to Rhys’ birthday we felt quite strongly that he would just be overwhelmed by a big party. So instead we made a real fuss of him and made his birthday a special day for him and the family. Then we had a small group of friends that he’s known almost his whole life round for a play and some cake. I’m so happy that we made that decision. We’ve been to a few of the other parties this year; they have been a lot of fun and Rhys has enjoyed himself. At one particular party recently he had a great time, bouncing like crazy on the bouncy castle and running around. Most of the other children there were the same, bouncing off the walls both literally and figuratively. It would be easy to make the assumption that they were all buzzing with a sugar high from party food. Except, I knew that Rhys hadn’t really had any party food. He has never been that fussed about that part of birthday parties – he’d always rather just carry on playing! So I was really interested to see this ‘sugar high’ issue being discussed in the news recently. Ahh, I do love a good self fulfilling prophecy! Now, I’m sure there are some children that are really affected by sugar. Most likely those who hardly ever have any in their regular diet. So when they do get a hit of it, their little bodies aren’t used to processing it and they do get a bit wired. But, personally, I’m right behind the good professor on this one. I think a lot of the time it is our expectations as parents that skews the way we interpret our children’s behaviour. I think that it’s been drummed into us for so long that sugar is bad for us and it makes our children hyper that we now believe it without question. So when we take them to a party and they have a plate of fairy cakes and party rings, or when it’s Christmas time and they’ve been allowed a bit more chocolate than normal, we expect them to get a bit more hyper than normal. So if they do start to act a bit loopy we automatically blame the sugar, when really their behaviour is probably down to a mixture of other factors. Rhys, for example, gets really loopy when he’s tired. He will run around like crazy, fighting the tiredness with everything he’s got! I remember one Christmas though, he’d had two, maybe three, chocolates from the bowl on the table, and was running around his grandparents house. Someone commented then that he probably shouldn’t have any more chocolate, implying that the reason behind his extra energy was what he’d eaten. I replied that he was actually just tired from all the excitement of the day, and that he often seems to get a real second-wind when that happens. I’m not sure they believed me though! My thoughts on all this? It all comes down to knowing your own children, and being aware of your expectations of them. I know that if Rhys is getting a bit over-excited at a party it’s most likely to be because he’s getting tired and maybe a bit overwhelmed by all the activity. I know it won’t be because he’s eaten too much sugar! What are your thoughts and experiences with this? Do you think that Professor Benton is right, or do you believe that, for your child at least, sugar creates a little bit of hyper behaviour? I learnt a new word today. I might be the only person who didn’t know this, but there’s a word for those bloody irritating songs that get stuck in your head – earworms! How brilliant is that?! 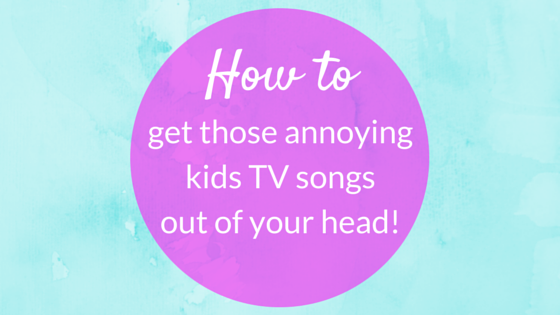 Earworms affect all of us at some point, I mean, who hasn’t had a catchy pop song stuck in their head? Or worse, the song from the Hive advert. You know the one, where the guy singing it just sounds a little too pleased with himself? These are all annoying enough. And then you become a parent. And you start having kids TV on during the day. And then you find yourself lying in bed with the perfect slumber party song from Sofia the first going round and round in your head. Or the ‘make some noise‘ song. Or ‘roll up the map‘ from Jake and the Neverland pirates. Yeah, we watch a lot of Disney junior in our house! 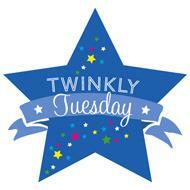 For the Cbeebies families out there, how about the theme tune from ‘Something special’? Or, oh God, the spring time song! You hate me a little bit now don’t you, for putting those songs in your head? Well I’m about to make it all better – apparently there’s a way to get them out again! According to a study carried out at the University of Reading, getting rid of earworms is as easy as chewing gum! Dr Philip Beaman from the University explains that the brain’s tendency to play catchy tunes on repeat might be ‘a form of involuntary musical memory’. The key word here is ‘involuntary’, which is why you can’t just will away a song when it’s stuck in your head. What you can do though is interfere with the playing of these musical recollections. Previous studies have shown that repeating a random word over and over again in your head can degrade your short-term memory; doing this while looking at list of words has been found to make most people forget 1/3 to 1/2 of the words on the list! The study at the University of Reading suggests that chewing gum has a similar effect. It disrupts the musical memory enough to get that damn song out of your head. Well, it has to be worth a try right?! It’s now well established that play is incredibly important to children and their development. In fact, it’s so important that it’s been recognised as a human right for every child by the United Nations High Commission for Human Rights. I love watching my children play. Waiting to see what toys they’ll make a beeline for at playgroup. Seeing the different ways they decide to play with them. Recently I’ve noticed Rhys getting much more creative in his play. He’s had a play kitchen for a few years and has always liked ‘cooking’ with it, but his pretend play has definitely changed in the last few months. He’ll play with a few soft toys now, coming up with scenarios for them and making all the different toys ‘talk’. It’s fascinating to watch and I love seeing that creative, imaginative side of him! Which makes me think about what I can do to encourage him to continue this pretend play and to introduce it to Nerys. One of the big things we can do to encourage our children to engage in pretend play is to provide them with the necessary props. This can be as elaborate as buying or making them a whole play kitchen, complete with toy food and pots and pans, or it can be as simple as gathering their soft toys and some sheets of paper so they can play ‘schools’!The main point here is to provide props so that the play is open ended. Let the child make the decisions about how exactly they’ll use the items provided and what scenarios they want to act out. Psychological studies have found that this type of play promotes creative problem solving skills. One study in particular, by Wyver and Spence (1999) suggested that there is a causal connection between pretend play and a child’s ability to solve divergent problems (these are problems that have several possible outcomes, as opposed to a convergent problem which only has one correct answer). Wyver and Spence (1999) found that children who were encouraged to participate in pretend play, and who were shown how to do so, then showed an increased ability to solve divergent problems. Interestingly, they also found that children who were trained in solving divergent problems then showed increased rates of pretend play! So perhaps if you have a child who really isn’t interested in pretend play you can encourage them to look at divergent problems with you and discuss possible solutions; this may in turn lead them to naturally show more of an interest in pretend play. You might have an empty box, that another child would naturally grab and turn into a racing car. If your child doesn’t seem interested in using the box for pretend play you could try and spark their creativity by discussing with them all the different ways you could use the box and encourage them to come up with as many suggestions of their own as they can! At the moment Rhys seems to particularly like engaging in pretend play by himself. I’m very conscious of the fact that I need to encourage him to play co operatively with other children. I really need to set up some after-school play dates! Playing with other children can be hugely beneficial. Watching another child engaged in pretend play can give your child ideas of how to play himself. By observing they can learn how a certain toy or prop could be used. Engaging in pretend play with other children is also important for a child’s social skills and has the added benefit of increasing their ability to self-regulate (their impulses, emotions and attention). A study by Lillard et al (2013) found that children who frequently engage in pretend play with other children have stronger self-regulation skills. Which does seem to be logical; after all, if you’re pretend playing with another child you both have to agree about what pretend things you’re doing and how you’re playing! The children have to learn to conform to a set of rules and the researchers suggest that practising conforming to rules like this could help children to develop better self-control and self-regulation over time. Talk about the things you do as an adult and encourage them to copy you. A lot of children will naturally want to copy what their parents are doing, grabbing a brush to help you clean up or making dinner in their play kitchen. 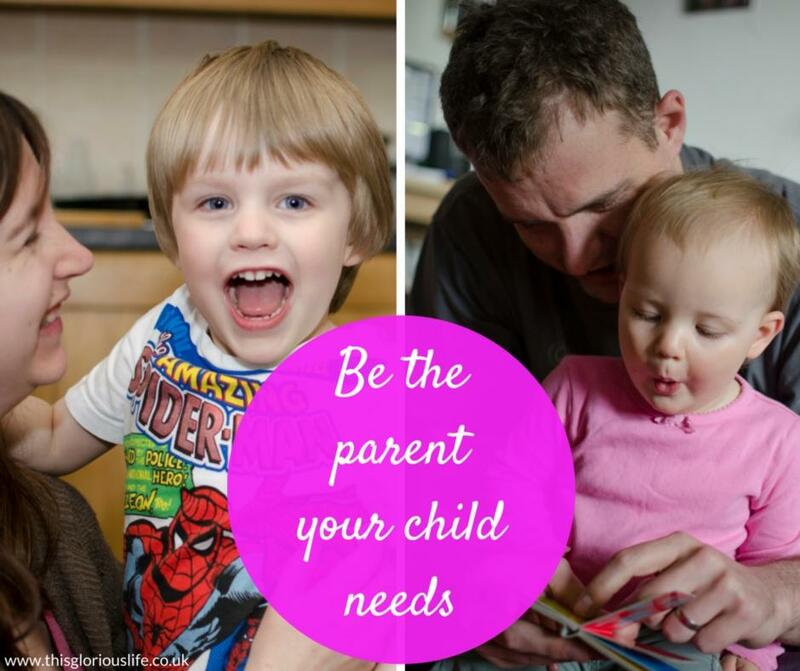 If you’re child doesn’t instinctively do these things you can encourage them by talking about the things you’re doing and then offering them tools to play alongside you. So if you’re cooking dinner you could give your child a few bowls and spoons and dry pasta to mix up and transfer from bowl to bowl. This kind of ‘real-life’ play has been found to help prepare children for actual real life challenges. A study by Lancy in 2008 found that children all round the world engage in play activities that mimic the kinds of things they’ll be doing as adults. The study also found that when older children or adults engage in the play with them and use that opportunity to teach them about the activities the children do take that information in, showing that children really do learn through play! Do you think these tips are helpful? Does your child naturally seem to enjoy pretend play? 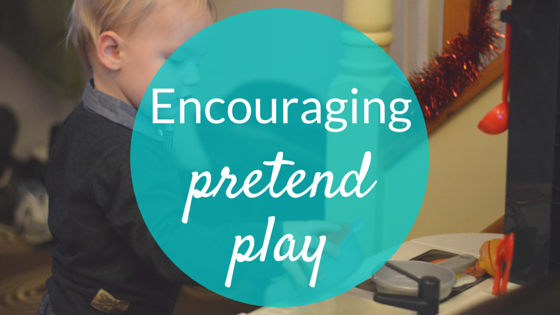 I’d love to hear about the kinds of pretend play they enjoy! Over the last week or two Nerys has started to sign ‘please’ and ‘thank you’. This makes me stupidly happy. Like, a bit more happy than I feel it really should?! A big part of this happiness comes from the simple pleasure of watching her grow and learn and start to really communicate with us. But another huge part of it is that it really is important to me that my children are polite and say ‘please’ and ‘thank you’. I’ve written a few posts recently about focusing on the good things in our lives and how feeling and expressing gratitude is good for our mental and physical health. I do want my kids to be grateful for things partly for that reason, I think they’ll be happier people if they appreciate everything they have and things other people do for them. Interestingly though, a study carried out in 2010 by Grant and Gino (published in the Journal of Personality and Social Psychology) found that saying thank you also has a positive effect on the person being thanked. When we say ‘thank you’ to people it can strengthen our relationship with them, let them know that we value what they’ve done for us and, apparently, can also make them more likely to help us again in the future. In the study a group of participants were asked to give feedback on a cover letter for a job application for a made-up student. When the student then asked for more feedback a day or two later, 66% of the participants agreed when he wrote a ‘thankful’ email, compared to just 32% of participants who agreed when he wrote the request in a ‘neutral’ tone. That’s quite a dramatic increase; seeming to prove that we are in fact much more likely to help people again in the future if they express their gratitude for the things we do for them. The researchers looked into this further and found that the reason we’re more likely to help those who thank us again is that the ‘thank you’ makes us feel that our help was appreciated, that we’re needed and that it makes us feel more socially valued. It seems that hearing the words ‘thank you’ helps us feel reassured that our help is valued, which in turn motivates us to provide more help in the future. So, teaching Rhys and Nerys to say ‘thank you’ will have positive effects on them and those that they’re interacting with! Besides, it’s just the right thing to do isn’t it?! If someone does something for you, or gives you something, it’s just polite to acknowledge it with a thank you. And it does seem to brighten the postman’s day when he hands Rhys our post and gets a very enthusiastic ‘thank you’ back! Do you agree? 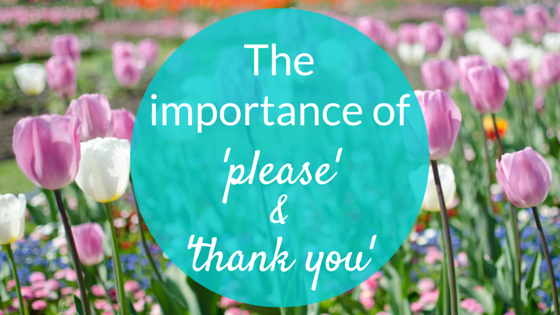 Do you think it’s important to teach your children to say ‘please’ and ‘thank you’ at an early age? I’d love to know what other people think! I know I dreamt last night. I’ve had a nagging feeling all day that there was something significant about the dream. I can’t for the life of me remember what the dream was about! All of which has led to me browsing the internet, reading all sorts of fascinating things about dreams. 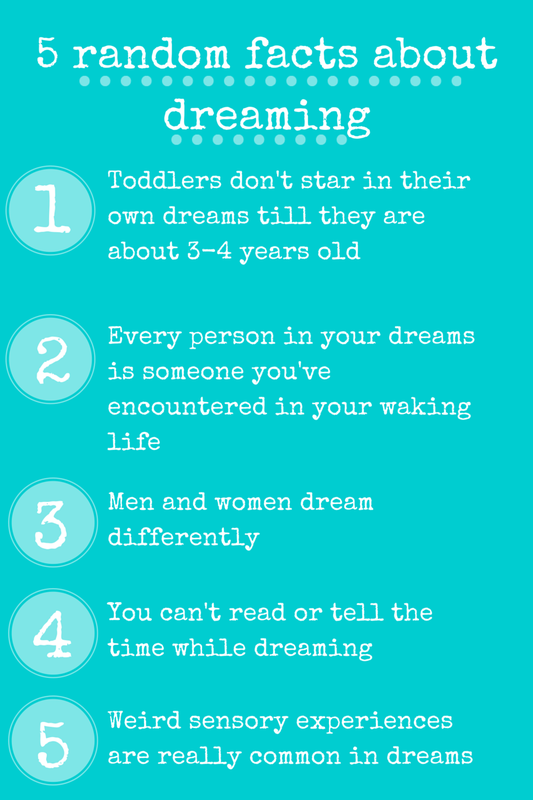 1) Toddlers don’t star in their own dreams till they are about 3-4 years old.I hadn’t heard this before, but apparently we don’t start to feature in our own dreams until we’re 3 or 4 years old. Interestingly, this is around the same age that we start to really develop a theory of mind, although I don’t know if the two things are actually connected! Your dreams might be full of people that you don’t know, but your sleeping brain hasn’t just made them up! They’re all people that you’ve come across in your waking life. Which I guess is why sometimes you dream of someone that you don’t know, but they seem really familiar to you, because you have actually encountered them in real life you just don’t necessarily remember it happening! 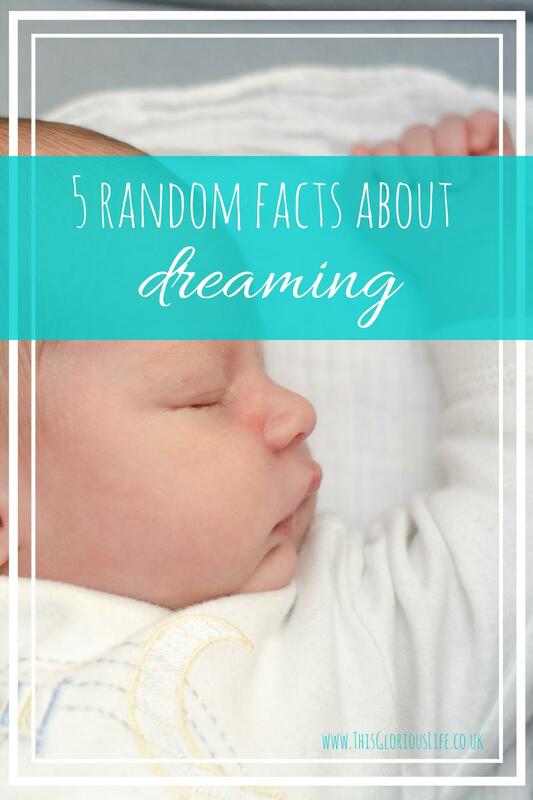 Research has shown that men and women generally have different types of dreams. Men tend to have dreams that are more violent and aggressive than women’s dreams. Also, about 70% of the people in men’s dreams are other men, whereas women dream about men and women equally. I found this one really interesting! I’m also a bit frustrated that I couldn’t find any studies to back the statement up, but it was a fact that popped up several times when I was researching dreams. 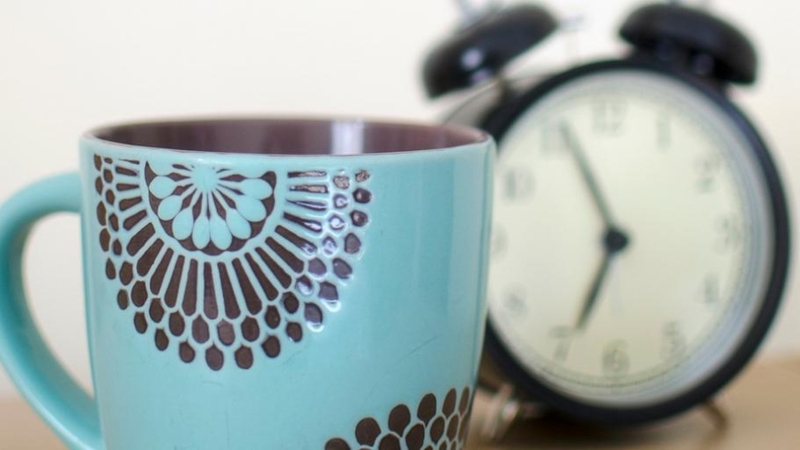 Apparently hardly any of us are able to read or tell the time in our dreams! People report that, when they try and read, the text jumps around or the letters are all mixed up and not forming proper words. And when they try to tell the time they find that the clock tells a different time whenever they look at it, and that the hands don’t seem to be moving. I can’t remember ever trying to read something or tell the time in a dream, but it’s something I’ll be looking out for in the future! I was quite pleased to find this fact, because I often have dreams where I’m moving really slowly, or I try and scream and no sound comes out, and I thought this was a bit odd. But it turns out this sort of thing is really common! Feeling like you’re falling and being unable to control your body’s movements are also often reported. I find the whole process of dreaming fascinating and love looking at the dreams that I can remember and seeing if I can make any sense of them! There are definitely a few themes that pop up quite regularly in my dreams and I’m planning on doing a bit of research and writing about them and what they mean soon.